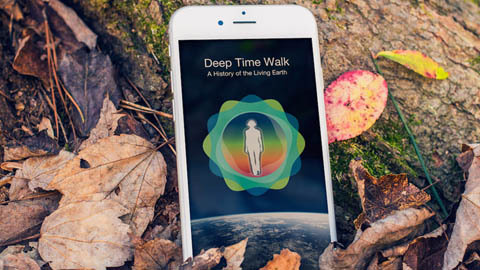 The Deep Time Walk is a 4.6km walking audio history of life. This unfolding takes you from 4.6bn years ago to the present day, with each metre representing one million years. During the narrated walk you learn how our planet evolved over this vast stretch of time, including the accretion of the Earth from a disc of rocky debris, the formation of the oceans and atmosphere, the appearance of bacteria - the first life, then the first nucleated cells, and, eventually, multicellular organisms. As you walk you begin to recognise the long geological processes and self-regulating patterns that have produced the conditions for the evolution of life.